Apparently steak and eggs are a pretty big deal in Latin America; I’ve had a version of this meal for Colombia, Ecuador, and now Uruguay. The one they’re serving at La Pasiva wound up being almost exactly the same as the one I had at Comedor Popular Ecuatoriano. 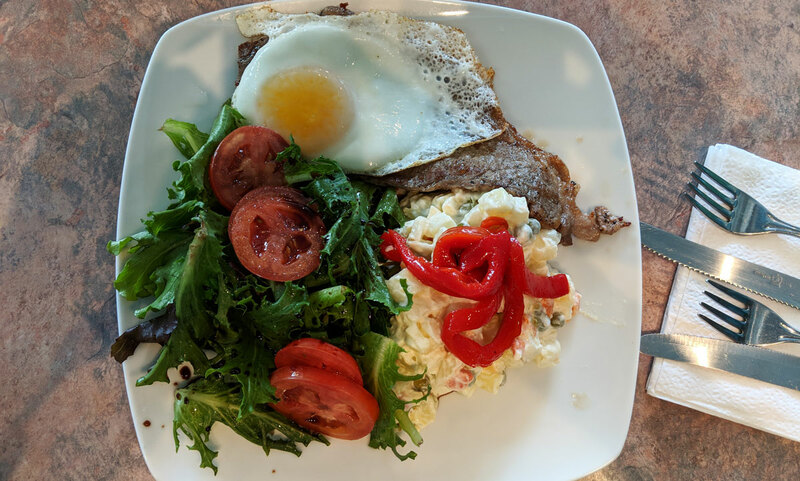 It’s a relatively simple dish: steak and eggs, a salad, and potatoes (you can choose between potato salad and fries — I went with potato salad). I liked it even better than the version at Comedor Popular Ecuatoriano. The well done, thinly-cut steak was a little bit tough — but it was still much more tender than Comedor’s version, and the seasoning was nice and zingy. It’s also a nice reminder of why steak and eggs is a classic dish; they go very well together. The salad, with its standard vinaigrette, didn’t particularly stand out, but the potato salad was quite delightful. I’m generally not a fan of potato salad, mostly because it almost always features raw onion, and that’s not my favourite flavour (putting it mildly). 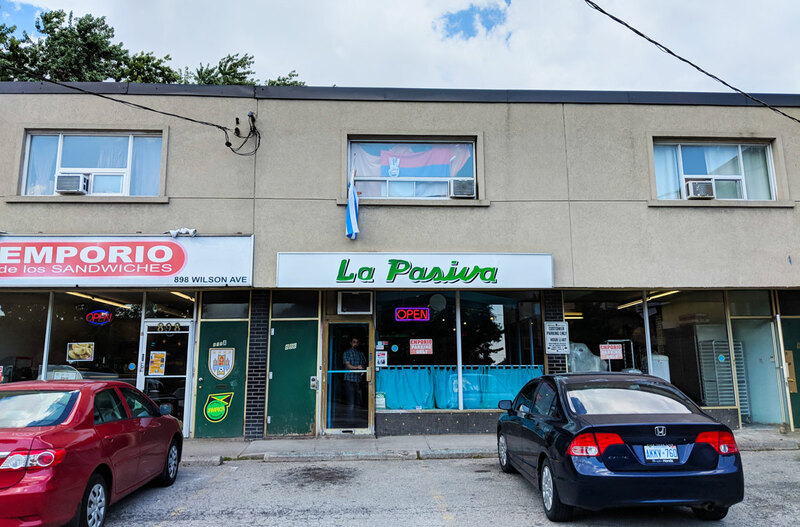 But La Pasiva’s version was refreshingly onion-free; it was a little bit sweeter than I’d like, but the potatoes were nice and creamy, and it had enough of a vinegary bite to cut the sweetness. 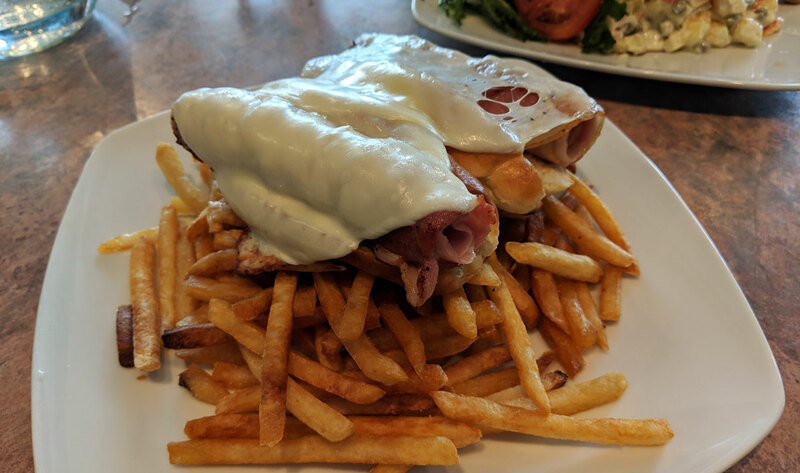 I also tried the pasiva (because you should never leave a restaurant without trying its namesake dish), which consists of two hot dogs wrapped in fatty ham and served with melty cheese on top. It’s served on an enormous pile of fries. Was it good? I mean, yeah, of course it was good. Did you not read what I just wrote? 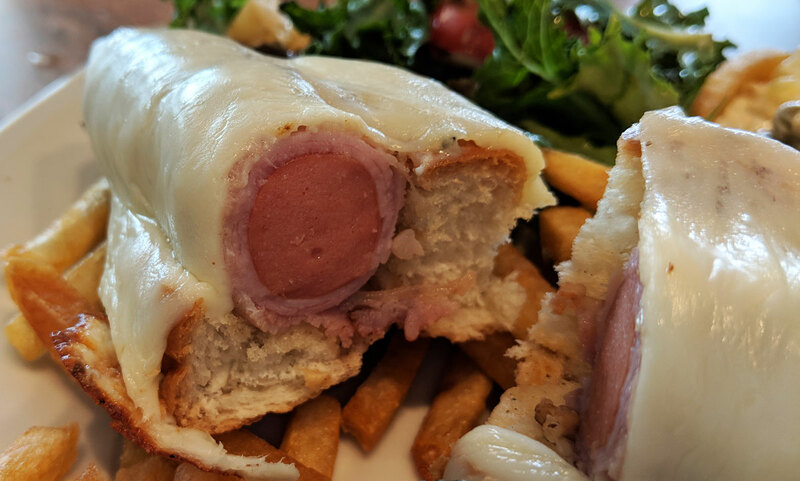 It’s a hot dog wrapped in ham and covered with gooey cheese. The hot dog had a nice smokey flavour, and the whole thing was quite satisfying. The fries — which were thinly-cut and were very similar to what you’ll find at McDonald’s — were okay, but they had clearly been sitting out for a while, so they weren’t hot and they were somewhat dried out. 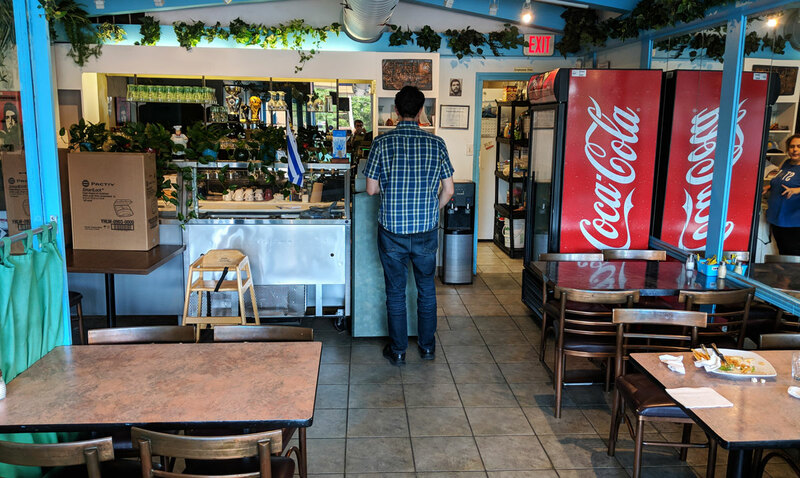 You’d think a place called “Jay’s Sandwiches of the World” would be a treasure trove for a blog like this, but I guess I’ve been at it a bit too long — I’ve already covered pretty much all of the countries that have been sandwichified by this restaurant (places like Italy, Cuba, and South Korea). There was one sandwich, however, that was fair game: the lomito. Depending on who you ask, it’s either a Chilean or Argentinian specialty (Uruguay serves it as well). The version served in Chile is typically made with pork, and Argentina’s version more commonly with beef (not surprising, given Argentina’s love of that particular meat). Well, Jay serves beef, so Argentina it is. 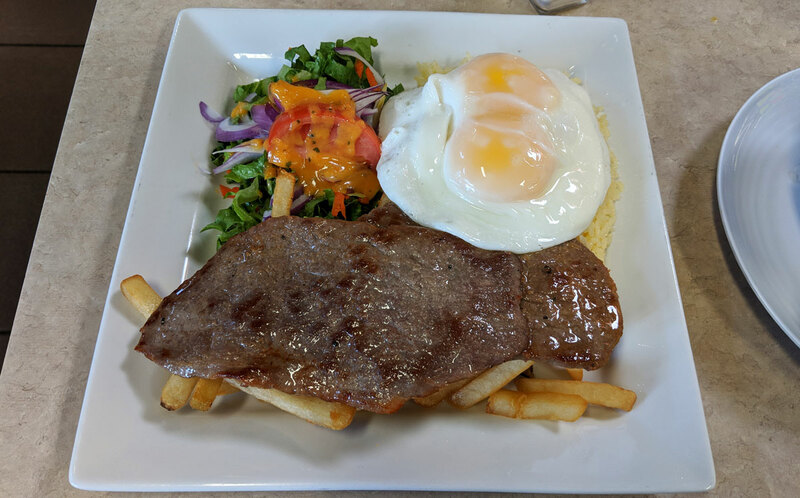 This particular version is a steak sandwich with melty mozzarella, a fried egg, lettuce, tomato, and lomito sauce. It’s apparently a beloved dish, so I’m going to assume that something went wrong in the translation — this one, at least, wasn’t particularly good. There’s just not much to it; nothing stands out. The steak, though nice and tender, is surprisingly flavourless. The fried egg was overcooked, with a chalky yolk and rubbery white. And though it’s hard to go wrong with melty cheese in a sandwich, the plasticky goo here makes me want to reconsider that. As for the “lomito sauce,” I’m pretty sure it was just ketchup, mustard, and mayo. The fresh, crusty-but-not-too-crusty bread was quite good, at least. I guess it sounds like the sandwich was horrible? It wasn’t horrible. It wasn’t particularly good, mind you, but I ate the whole thing, and if you put another one in front of me, I’d probably eat it again. I know, “it was food and I ate it” isn’t exactly a ringing endorsement. I’ll just assume that the other sandwiches at this place are better, though it’s exceptionally unlikely that I’ll ever be back to find out. 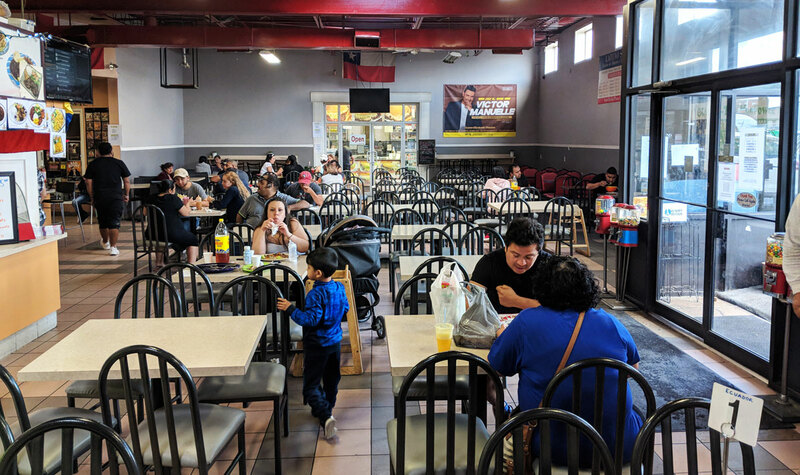 Hidden away in a sketchy little plaza in Mississauga, Las Delicias is pretty much the very definition of a hole-in-the-wall restaurant. 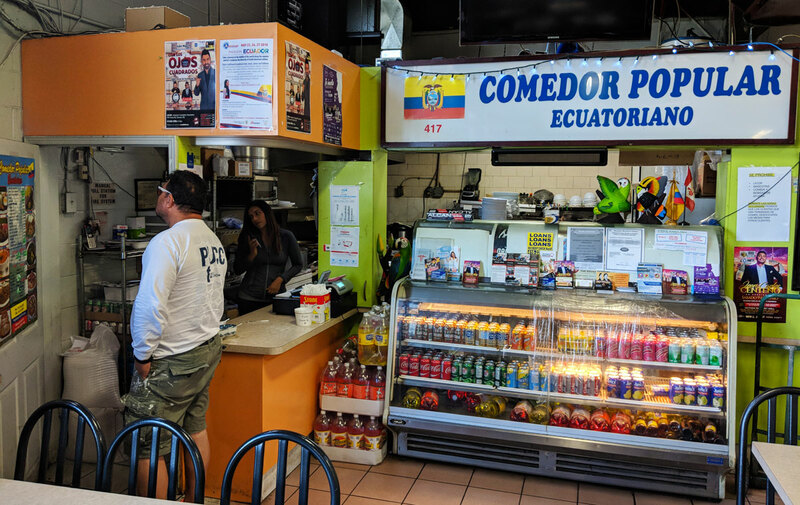 The friendly proprietor quickly sussed out that it was my first time in the restaurant — and my first time eating Colombian food, period. She recommended the Bandeja Paisa, a decadent smorgasbord that pretty much dares you to finish it (I did). 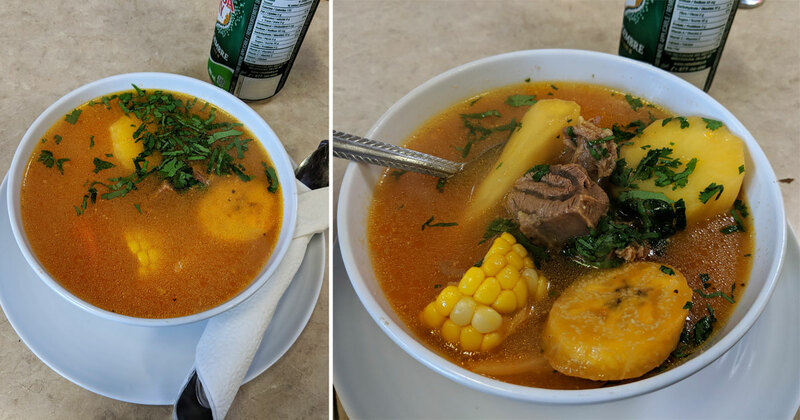 Clockwise on the picture above, starting at 12:00 – a fried egg, Colombian sausage, fried plantain, crispy pork belly, corn biscuit, and steak, all served atop white rice and beans, with an addictively spicy bowl of hot sauce served on the side. Nothing here was particularly great — in fact, I suspect that almost all of it is probably better served elsewhere. The pork belly was tough, and bordering on leathery. The corn biscuit was almost rock hard. The steak was overcooked and chewy. The plantain was soggy. And yet I enjoyed it more than you’d think. Everything taken together, and topped with that great hot sauce, added up to something surprisingly satisfying. The sausage — which had an odd, yellow colour on the inside and a unique texture — was a highlight. And it’s hard to mess up a fried egg. The beans, too, were quite good — kind of like a less dense refried beans. I was disappointed at first, but the dish slowly won me over. It was a huge amount of food and I cleaned the plate. Of course, that probably speaks to my gluttony just as much as it does to the quality of the food, but still. I enjoyed it.